The hold Star Wars has on so many people (myself included) never ceases to amaze me. No matter what company owns the rights, what spinoffs they make, or what changes George Lucas insists on, the films are not theirs anymore. They are ours and always will be. 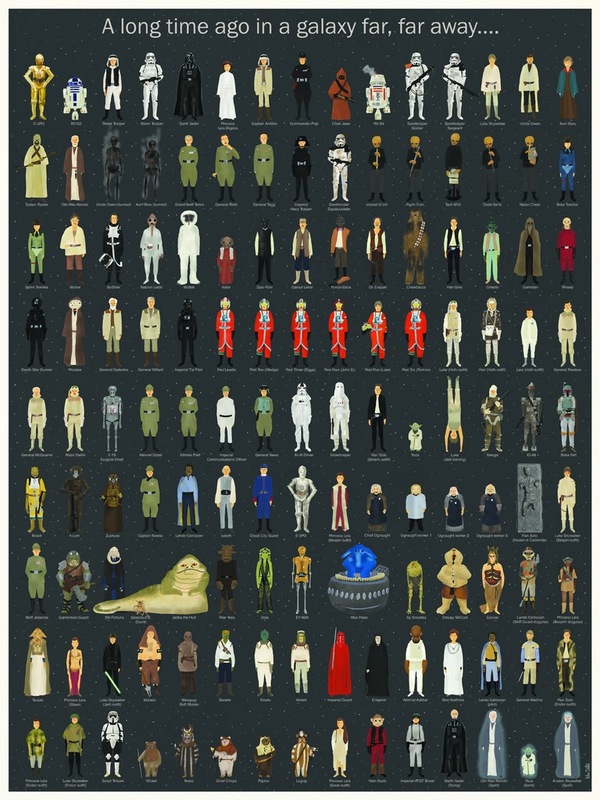 Max Dalton is a wonderful example of this with his "poster featuring (almost) every character of the first Star Wars trilogy in order of appearance." Of course, it's already sold out because I've been slacking on this blog. I'll try better.